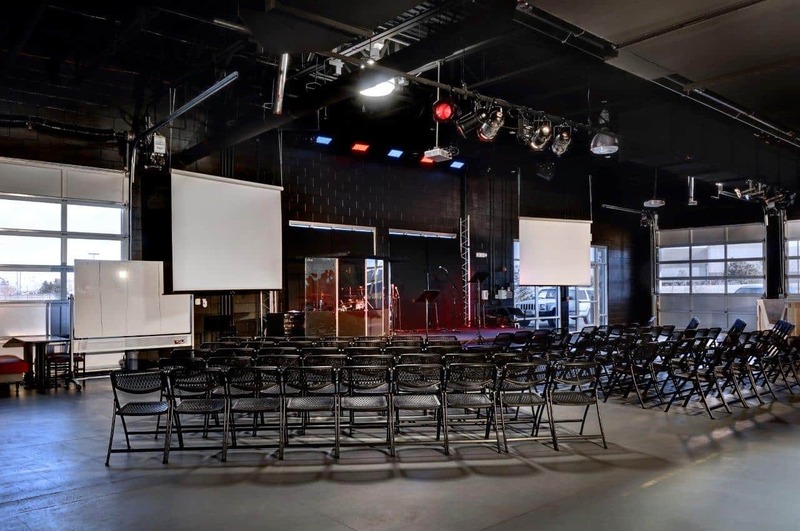 Crossroads Church is a masterful repurposing of an abandoned automobile dealership. As in the case in many metropolitan areas a site for a new project wasn’t readily available or affordable. 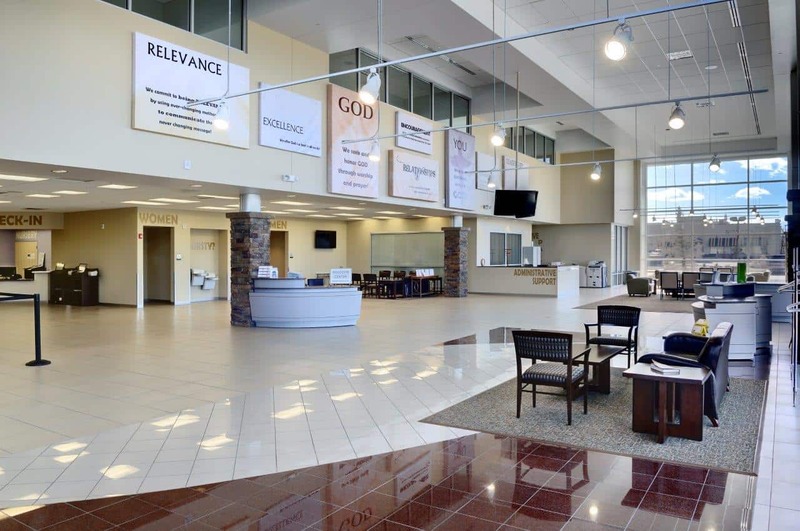 With careful planning and creative ideas, the former dealership was transformed into a beautiful efficient worship facility. 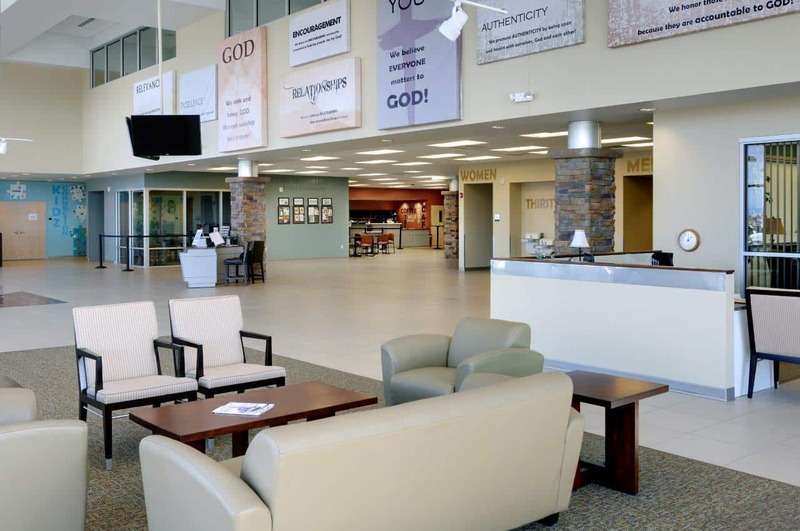 The initial 38,338 square foot was completed with a sanctuary seating 500. 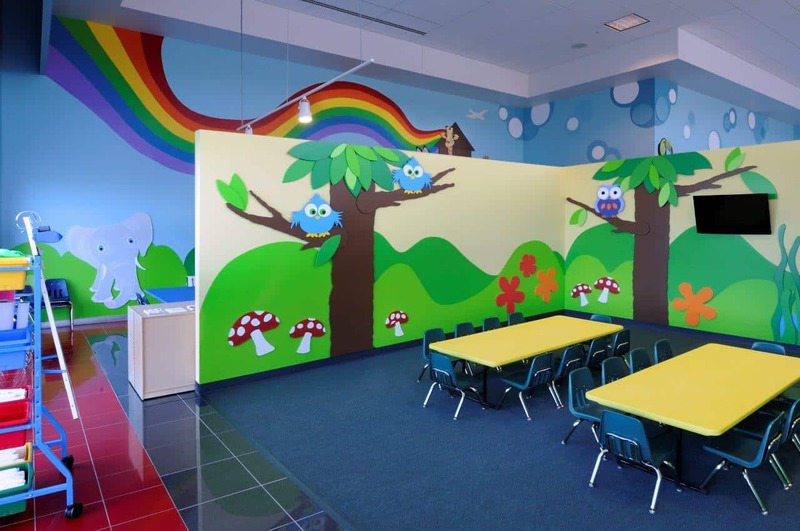 Within two months, the worship attendance grew to 1,400 and the children’s area was maxed out. 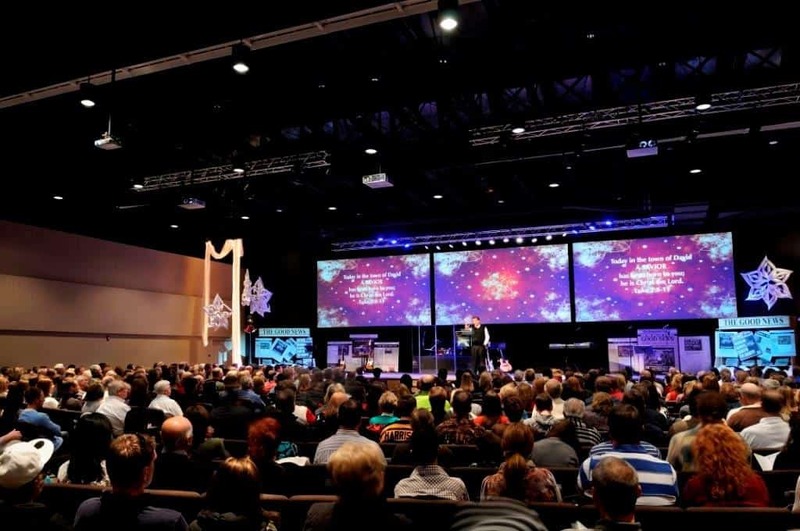 This large growth le the church to rethink the next phase quickly and converting the auto service bays with 22 foot ceilings allowed for a well-placed worship center now seating 968. The church now averages 2,300 including the 400 in the children’s ministry. They seat 1,200 in a multi-purposes area. 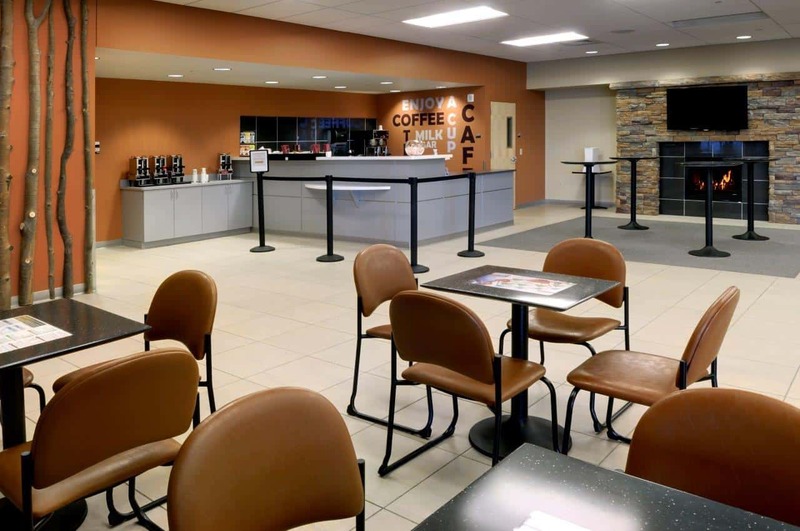 The new influx of congregants giving allowed them to finish out the remaining areas in the building bringing the total square feet to 48,000. 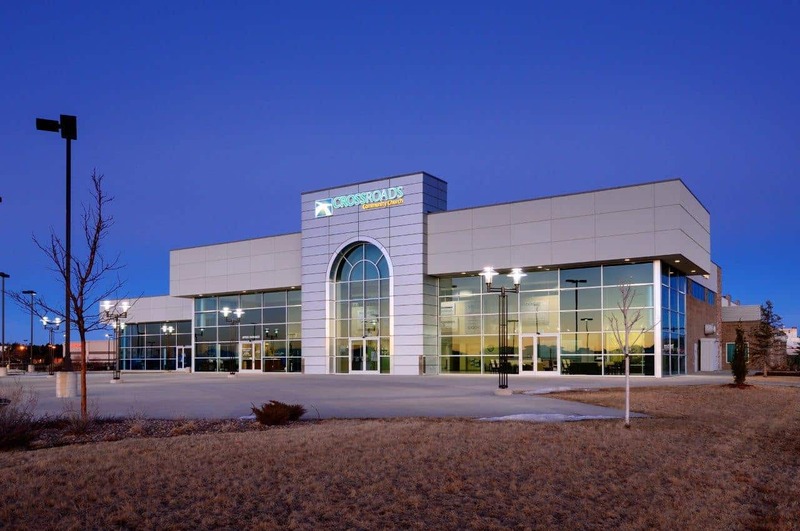 The conversion of the showroom into the welcome center was a natural with its expansive views of the Rocky Mountains as a back drop.